Bahrain’s Industry and Commerce Minister Zayed Al Zayani opened the Bahrain Export Trade Expansion Forum at the Diplomat Radisson Blu Hotel, Residence and Spa yesterday (May 31). It was organised by the ministry in collaboration with the United National Development Programme (UNDP), said a report in the Gulf Daily News (GDN), our sister publication. In his inaugural speech, Al Zayani stressed the importance of UNDP studies on the performance of Bahrain's trade policy and its active engagement in preferential trade agreements at bilateral and regional levels, as well as at the World Trade Organisation (WTO )multilateral most favoured trading system. "Such studies reflect Bahrain's long history of economic openness and trade liberalisation that has led to a high degree of integration of our economy with the global economy," he said. "The benchmarking of Bahrain's standing in a number of international indicators underscores substantial competitive strengths in areas such as human development, macroeconomic stability, financial services, efficient business regulations, openness to trade, and ICT readiness." Al Zayani said that "the recent trade policy options confirm our sustained drive towards freer trade and economic integration. "Besides our GCC and WTO membership in 1981 and 1995 respectively, we also achieved duty free access to the greater Arab free trade area in 2005, and concluded the free trade agreement with the US in 2006. "Since the launch of our Economic Vision in 2008, we have also enhanced our bilateral trade and economic relations with the UK, Italy, and most of the emerging Asian economies. 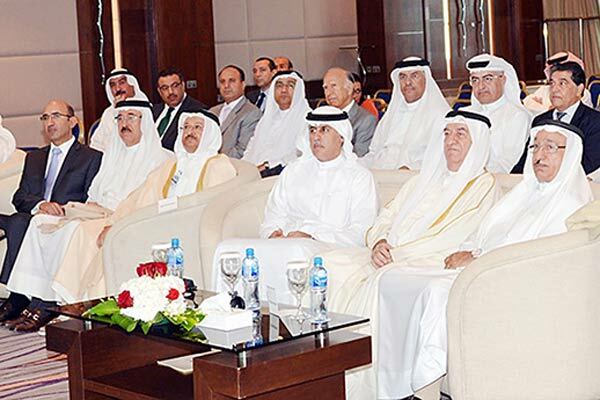 "Such endeavours have yielded positive rewards to Bahrain's international trade and national economy. Our current annual foreign trade transactions ratio to GDP is one of the highest worldwide. "Moreover, while the UNCTAD/WTO 2014 estimates put the world trade value growth at 250 per cent between 2000 and 2014, Bahrain's total trade has increased by 520pc for the same period." The minister affirmed that Bahrain can today take pride in not only boosting a diversified industrial portfolio, and a growing SMEs sector, but also a mounting national labour force which is primarily employed in the private sector. "The manufacturing and SME sectors continue to grow and constitute the third largest contributor to Bahrain's economy after hydrocarbons and financial services. "As part of its diversification process, Bahrain has focused on high-value-added industries such as aluminium, petrochemicals, metal products, steel and other knowledge intensive industries. "These factors have helped the kingdom develop into the one of the region's most-diversified economies, with the manufacturing and services sectors accounting for more than three quarters of the economy and expected to lead national economic growth," he said. Al Zayani pointed that the Bahrain International Investment Park, and the adjacent modern logistics infrastructure have been highly ranked internationally. "Bahrain's connectivity through traditional as well as social media and e-marketing networks is supported by efficient transportation and telecommunication services and augmented by e-Government and e-Commerce initiatives.